They say that love is a wonderful thing. We all want to have a soul mate with whom we can spend the rest of our lives with. We’re all dreaming of finding that perfect partner and have our Happy Ever After love story ending. However, it seems that finding that HEA is nothing but a lucid dream, especially when we talk about the reality. This bittersweet ending of a couple will make your heart wrench with love. Even if death had indeed made them apart from each other, the strings of undying and endless love will keep them tied together for eternity. Let us witness one tragic yet epic story of love that will last a lifetime. 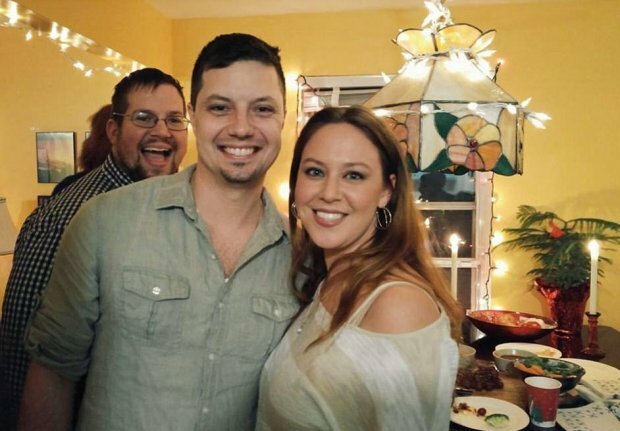 Dave Mosher and Heather Mosher have been in love and were set to marry each other on the second-to-the-last day of the year 2017. However, her cancer is already terminated and she realized that she couldn’t make it, that’s why they pushed back the date in order to get wed before death separated them. On December 22, they exchanged vows in a hospital chapel and eighteen hours later, Heather passed away. The photos and videos of the said heart-wrenching ceremony had gone viral since then. People were touched by their profound love but they can’t also help the pang of agony that hit them with Heather’s passing. Christine Lee, the bridesmaid of the said wedding, shared another post on Facebook stating how Dave’s love serves as Heather’s strength, inspiration, and motivation to keep fighting her terminal illness until the end. In December 2016, Heather was diagnosed with breast cancer on the same day that Dave proposed to her. One would think that this life-changing news would hinder the two of them from their wedding. But Dave went on with his proposal anyway to show her that she’s not alone in this quest for her. He wanted her to know that he’ll follow and support her through thick and thin, and that was exactly what he did. Together, they have endured this battle for about a year. However, it seems the disease had won since it reached her brain and ever since October this year, Heather has been on a life support. At that time, the doctor also gave her a deadline. He recommended to the couple that if they still want to pursue their wedding, they should move the date up before December 30. Because Heather may not make it any longer. The wedding was pursued and Heather’s last bittersweet words were the vows she uttered in the ceremony. The two exchanged I do’s and even if she died a couple of hours later, Dave and Heather’s family were proud of the woman’s accomplishment. They claimed that in all honesty, they didn’t expect Heather would come this far. They were all happy that even if she’s gone now, they were able to fulfill her last wish. She got married to the love of her life and became happy even if it was short. 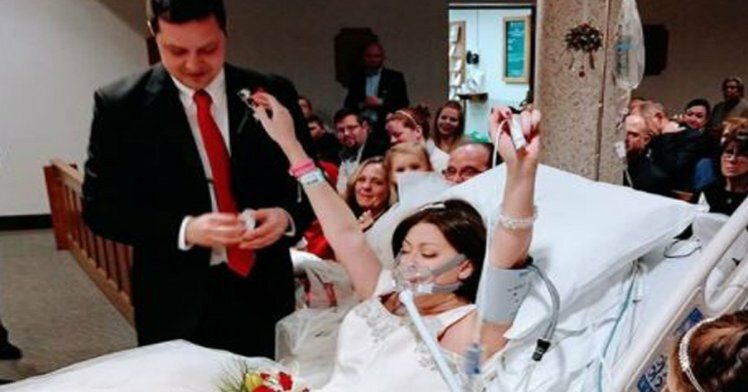 This memorable moment was captured in photos and images showing Heather’s ecstatic and serene face while outstretched and reaching out to touch Dave’s face while breathing through the oxygen mask. Even if Dave will bear the excruciating pain and agony with Heather’s passing, he said that he will continue on living and fighting for his life for his wife. He said that Heather’s mantra was to keep on fighting. “I want to keep fighting”. And that’s what Dave is going to do. Heather was brave and strong enough to fight until the end. Dave, too, will fight until the end of his life. Indeed, this may seem a heartbreaking and tragic ending of such a profound love story, but if there’s anything Dave and Heather taught us that is to love unconditionally with all our heart. There’s nothing that can prevent two persons from loving each other. Death had only separated their physical, mortal bodies together but not their eternal love for each other. And we all know that in the right time, Dave will be reunited with his loved one and be able to spend every moment in eternal peace and happiness, away from any sickness or death.